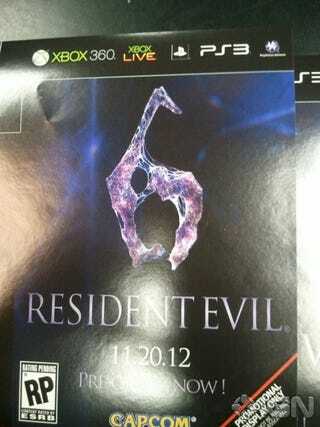 New of Resident Evil 6 leaked early today. The game will be out on November 20, 2012, according to some images snagged by IGN. It looks to be headed for XBox 360 and PlayStation 3. IGN tried to get RE publisher Capcom to confirm, but they got the standard not-commenting-on-rumors thing. The viral site nohopeleft.com is expected to reveal more later today.